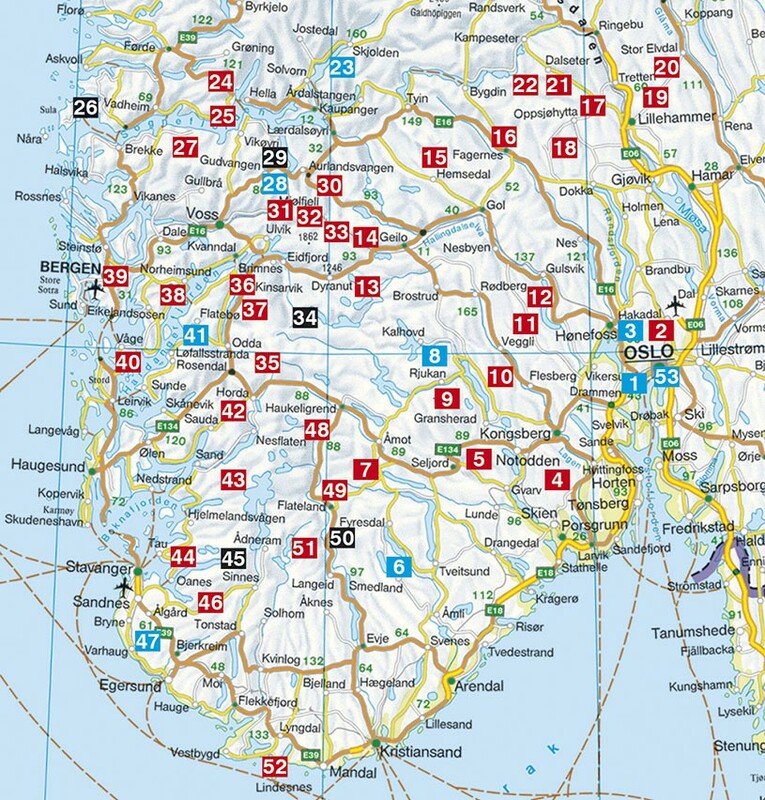 53 selected valley and mountain walks between Oslo, Lom, Bergen and Kristiansand. 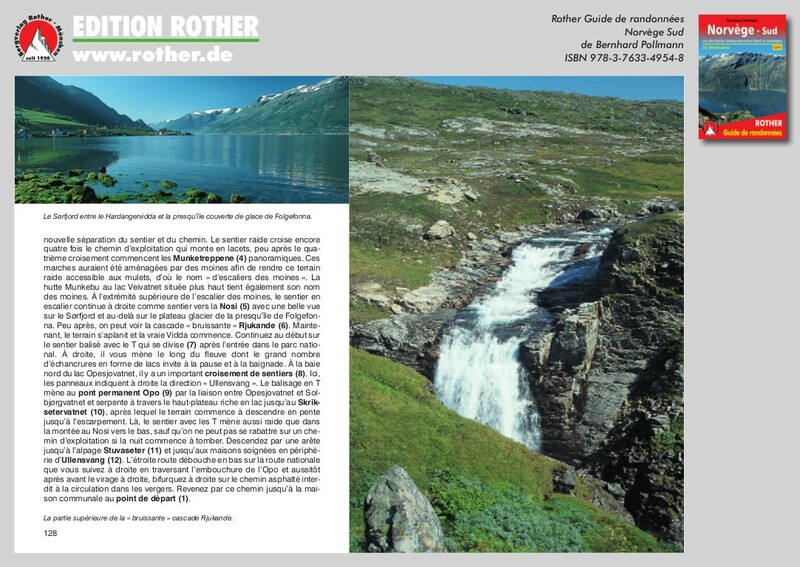 Each route description is prefaced by a characterization of the walk and a fact file of the most important informations concerning the starting point, access, height difference, overnight accommodation and a walking map. 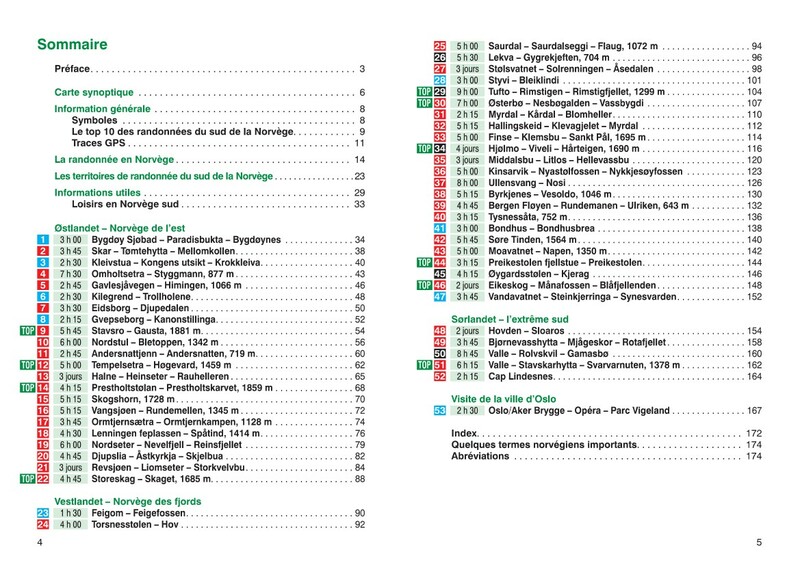 Book in French. 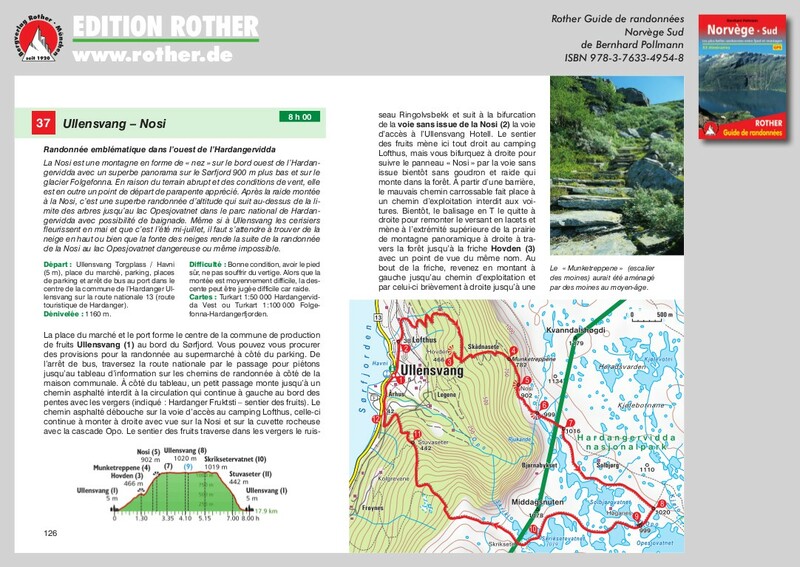 In 53 hikes, this guide opens up Southern Norway between Oslo, Bergen and Lindesnes: The range spans from the highest peaks in Northern Europe, in Jotunheimen National Park, to the picturesque forests and lakes in Telemark and the high heathland areas over the waterfall-rich Setesdal valley, from the cliff scenery in Rogaland and on the glacier-covered Folgefonn peninsula, to the panoramic domes and plant oases of Rondane National Park, from the mountains near Oslo, to Hårteigen. 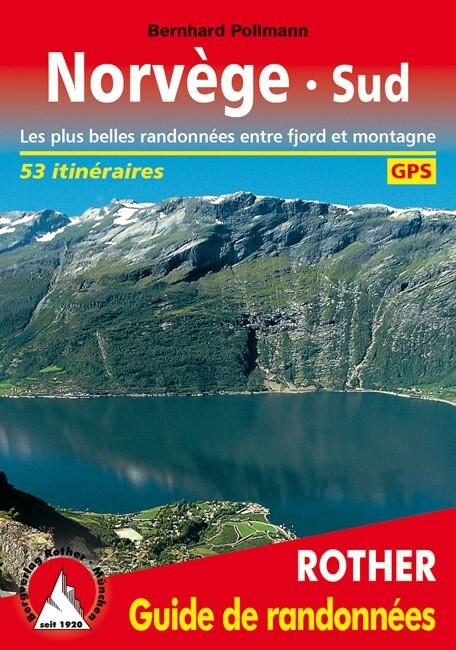 With a selection of hikes for every physical condition, Bernhard Pollmann, one of the finest experts on Norway as a hiking paradise, describes "easy" and "difficult" routes – family-friendly hikes are included, as are climbs up deserted peaks, challenging day-long hikes, and tours covering several days from cabin to cabin.